My new piece in The Freethinker. 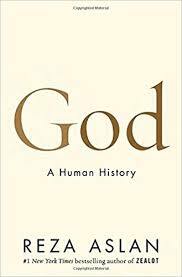 “Religion scholar” Reza Aslan’s new book, God: A Human History (Bantam Press, £18.99), traces the human relationship with God-types from the Palaeolithic, Greek, and Egyptian eras to the rise of Judaism, Christianity and Islam. Aslan’s history highlights the ongoing compulsion to attribute human characteristics onto Gods over millennia and blames God’s poor image on this “dangerous” humanisation. It’s not God that is jealous or vengeful, he says, but our “nature” and “penchant for violence”. Luckily for God, Aslan is here to rescue Him. Historically, as documented by Aslan, Gods and religions have been a way of explaining the unexplainable (such as earthquakes or failed hunts). Despite the evidence, however, Aslan says our “brains are hard-wired” for religion and that religion is “inherent” in children. He is a man of faith after all. But belief in religion or God is not an hard-wired evolutionary trait but more likely a by-product of non-religious functions. Scientist Richard Dawkins uses the example of a moth burning itself on a flame to explain this; the moth does this not because of an evolutionary instinct for suicide but as a by-product of steering via moonlight. Clearly, God is perceived in the image of man not because of anything inherent in us but because He is man-made. Children believe in God not because they are born believers but because of indoctrination from the day they are born and ongoing physical and psychological abuse such as faith schools, child veiling and gender segregation deemed acceptable only because of religion’s privileged position in all societies. 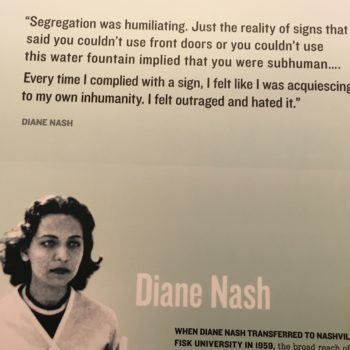 That religions and Gods still hold sway in the 21st century despite advances in science is simply because of their continued usefulness in maintaining class, gender and social inequalities and injustices and suppressing our dreams and our hopes for a better life in the here and now. Religions and Gods persist because they remain the best tools of the powerful to control the uncontrollable, including “disobedient” women and children. This is the crux of why God still sells books and makes fortunes – even though there is no God (la ilaha لَا إِلٰهَ). Aslan’s book is naturally brief (the footnotes are similar in length to the entire book). It has to be given his inclination to erase the murder and mayhem carried out in God’s name and his sanitisation of religion as mere “language” and a “set of symbols and metaphors”. And as is always the case with Aslan, Islam gets the easiest of passes. The tiny Islam chapter selectively focuses on Sufi-ism; Mohammed, Islam’s prophet, is unrecognisable as a social justice type rather than a war-mongering misogynist. Aslan’s book ends with a plea for the “dehumanisation” of God and for Pantheism (meaning All is God and God is All). His plea is labelled “bold” and “provocative” by his publishers though it is just another old and tired way of looking at God that is neither bold nor provocative. In a world drowning in religions and Gods, it is hard-pressed to see how Pantheism will bring “peace amongst religions” and change things for the better as the author promises. Given Aslan’s proclivity for self-promotion, Pantheism will certainly change things for him; he can keep repeating the last lines of his book in a mirror: “You need not fear God. You are God”. Meanwhile, whilst Aslan re-packages the same old God in order to rescue Him, what will rescue us? Well, certainly not more religions or Gods but rather Laïcité (the separation of religion and the state) and an end to religious indoctrination and abuse of children. If we're hardwired to believe in God, do I, a non-believer, have a brain defect? I think not.